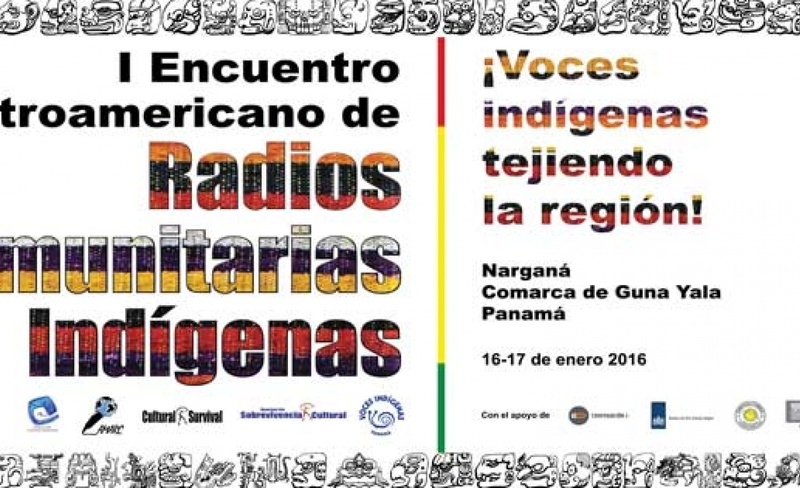 From January 16-18, 2016, Cultural Survival in partnership with Sobrevivencia Cultural, AMARC, Voces Indigenas Panama, and Fundacion Comunicandonos hosted the first ever Central American Indigenous Community Radio Conference in Narganá, Comarca Guna Yala, Panamá. The conference will gather over 40 Indigenous community radio volunteers from all over Central America to discuss and share their experience with community media in their respective countries. The conference also has the goal of creating a Central American Indigenous community radio network in which community stations will mutually support each other in raising awareness about their work and fighting for the democratization of community media in the region. Highlights and opinions will be shared on social media: Facebook, Instagram and Twitter!